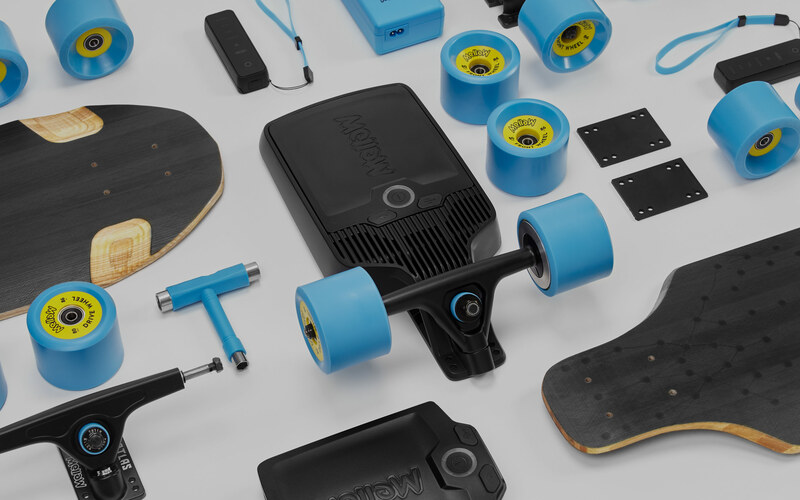 The first electric drive that fits any skateboard. 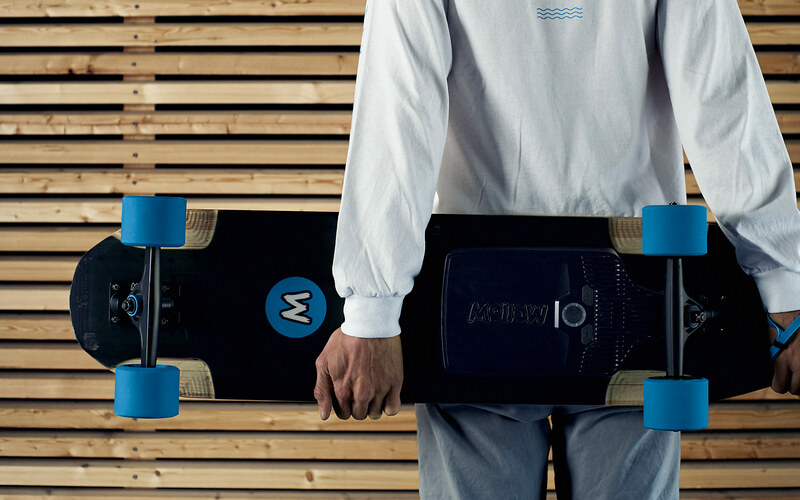 Most advanced electric skateboard on the market setting new standards in quality, safety and user experience. The two hub motors deliver maximum power at minimal sound. Also allowing for frictionless freewheeling. 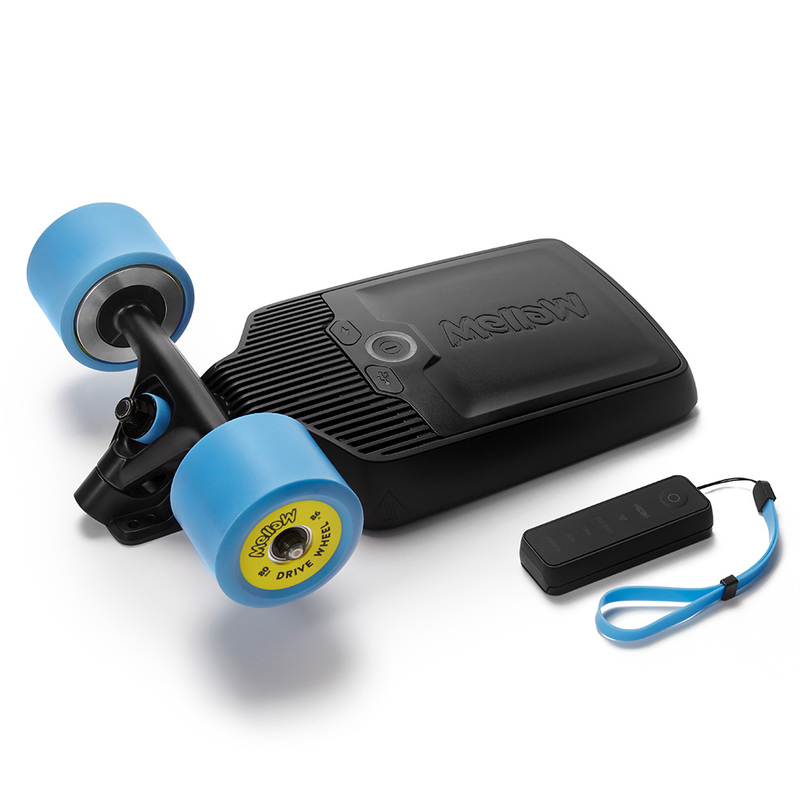 Despite of its compact design, Mellow performs big time with its slim motors and battery pack. Swap the battery to extend your range on the go or use it as a USB powerbank to charge your phone. The unique Endless Mode acts like a pedelec that supports you while you are pushing. Old school meets new school. The Mellow Drive has got a lot of intelligent features that qualify it as a high-tech vehicle for every day use. Designed, engineered and produced in Germany. Highest standard of dust and waterproofness rated IP 65 so you can even ride in the rain. Mellow is your perfect travel mate. You can carry the certified Battery Pack as handluggage without a problem. 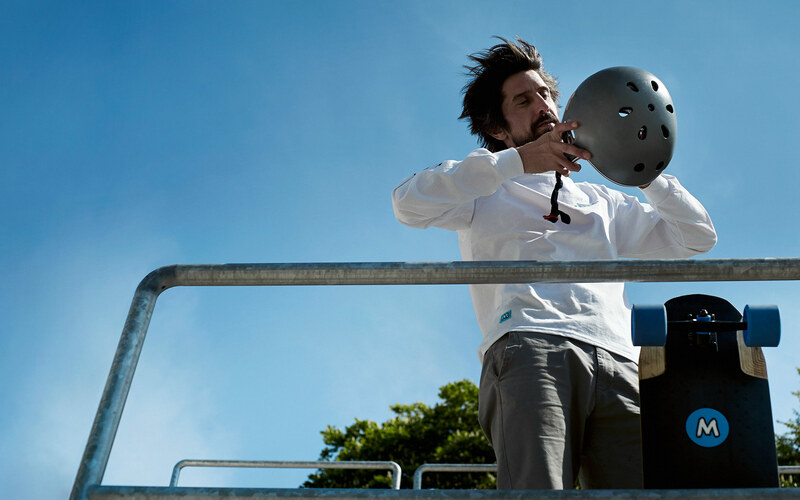 As a high quality product the Mellow Drive naturally comes with a solid two year warranty. Always keep your Drive state of the art with regular software updates via the Mellow App. Always wear a helmet and never ride over your capabilities. Everything else the numerous safety features of the Mellow Drive will cover. Mellow News You subscribe – we keep you posted. Mellow School It's time for Mellow School - listen up! Get your Mellow Drive in just 3 days.